PP-R’s natural insulation properties for sound and heat provide efficiency and comfort benefits. 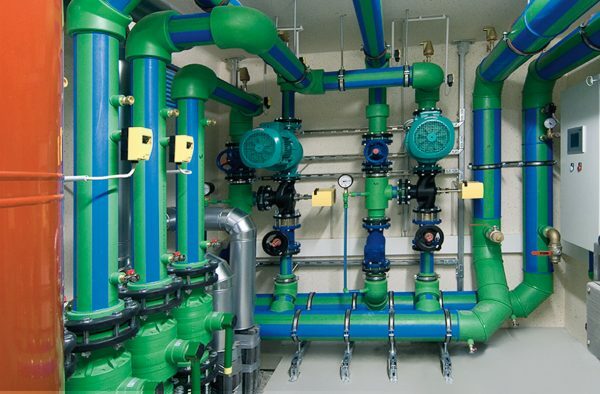 This gives aquatherm systems a performance advantage which isn’t possible with other pipes. For sound, PP-R absorbs vibrations where metallic ones amplify them. Our systems don’t require vibration isolators, provided there is some limited mobility of the pipe on either side of the pump. For thermal insulation, aquatherm fusiolen PP-R has a low thermal conductivity of : 0.15 W (mK). This provides a significantly higher degree of insulation compared to metal pipes. With engineering judgement, this can reduce the amount of insulation required to meet current energy codes. These unique properties further reduce installation costs and prevents wasteful over-insulating. 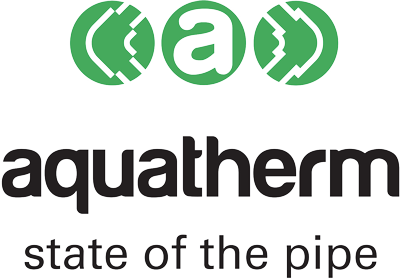 aquatherm’s natural R-value also improves un-insulated energy performance in areas where insulation is difficult to install, such as trenchless applications.